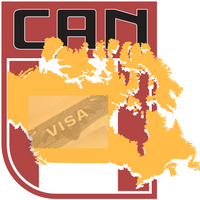 The Student visa allows students to study in Canada either at a primary, secondary, or post-secondary institution, or in a vocational or professional capacity. You can study for a maximum of 6 months with a visitor's Visa. You do not need a Study Permit (student visa) if you are planning to take a course or program in Canada with a duration of six months or less. You need to complete application forms and submit it to Canadian Embassy. All the documents must be either original or photocopies notarized (as defined in the application guidelines). Your Student visa/Study permit becomes invalid after 90 days of completing the course. If you graduate from participating institution you may get PWGP (Post Graduation Work Permit Program). Maximum duration of PGWP is three years. PGWP takes 3-4 months for processing. Multiple application forms (IMM *). A Letter of acceptance from University/School. Proof that you have enough funds to support yourself for your entire stay (tuition fees + living expenses) in Canada. A medical clearance (might have different rules for different countries) if required by immigration. A letter from your employer or sponsoring organization if you are being sponsored. Police Certificate to show that you don't have any criminal record. Copy of an Educational Loan from Bank equivalent to at least 80% of tuition + living + travel expenses for one academic year (normally, first year's tuition unless already paid, plus $8000).